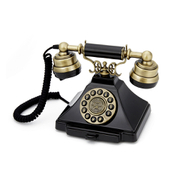 This is a telephone that prides itself on its simplicity. No fuss, no fanfare, no drama. Homeowners loved the GPO 746 in the ‘70s and our updated design perfectly echoes its no-nonsense style. 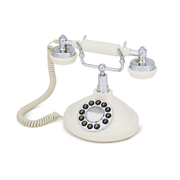 The traditional bell ring is a rush of nostalgia and the rotary design completes the classic British finish. 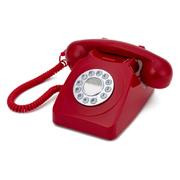 Working perfectly with modern telephone exchanges, the GPO 746 is the ideal partnership of retro and contemporary.